The WaterLase laser dentistry system is a gentle alternative to traditional dental drills. It utilizes a combination of laser technology and a gentle water spray to perform a variety of dental procedures. 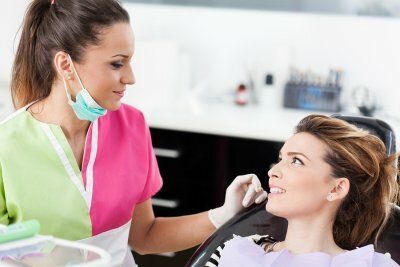 If you need to visit a dentist for a dental exam, but suffer from dental fear and anxiety, find a dentist who can use WaterLase laser dentistry to offer you these great benefits. The WaterLase system is so gentle that your laser dentist may not even need to use a local anesthetic during your dentist visit. This eliminates the need for scary and painful dental injections before a procedure and allows your dentist to perform routine procedures without using a drill. WaterLase combines air, water, and laser energy to cut through teeth. The laser sprays water onto your tooth and tissues continuously, keeping them hydrated and ensuring a pain-free dentist visit. Using the WaterLase dental laser, your dentist can perform multiple dental care procedures in just one visit. This saves you time and money, and also cuts down on the dental anxiety that can occur when you anticipate multiple lengthy visits to your dentist. WaterLase dentists are also able to perform a variety of dental, so you won’t need to visit a costly specialist for your dental care. The laser technology that’s used in the WaterLase dental system is incredibly safe and precise. While traditional dental drills require your dentist to remove large portions of your teeth during a dental procedure, the WaterLase tool removes only very small, precise pieces. It also eliminates the risk of suffering from a cracked or damaged tooth. If you’re looking for a laser dentist serving Hazlet that offers safe, comfortable, and pain-free WaterLase laser dentistry procedures, come see us at Glenwood Premier Dental. 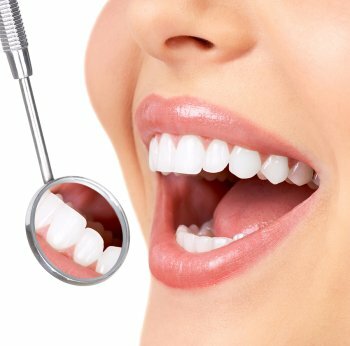 Our dentists have extensive training and experience with the WaterLase dental system, and can use it to perform a variety of procedures. To schedule an appointment with one of our WaterLase dentists, call us today at (732) 264-4477. Everyone is at risk for gingivitis and periodontal disease, and that risk is increased if you don’t visit your dentist for regular dental exams and teeth cleanings. Periodontal disease, which is also called gum disease, is caused by poor oral hygiene. Without regular teeth cleanings, plaque and tartar will build up on your teeth. This buildup harbors harmful bacteria that cause gingivitis, infection, receding gums, and loose teeth. When gingivitis and gum disease are caught early during a routine dental exam, your chances of successful treatment are increased. If you suffer from gingivitis or periodontitis, you and your periodontist will need to develop a comprehensive periodontal maintenance program to prevent your gum disease from worsening. Periodontal maintenance programs begin with non-surgical treatment methods, but your periodontist may recommend surgical treatment if your gum disease advances. At Glenwood Premier Dental, our experienced periodontists can offer safe, effective periodontal maintenance plans for the treatment of gingivitis and gum disease near Hazlet . If you are suffering from early warning signs of gum disease, come see one of our dentists as soon as possible to discuss treatment. To schedule an appointment with a periodontist, call us today at (732) 264-4477. Your dentist will recommend root canal treatment if your tooth is suffering from a severe infection that threatens the life of the tooth. Root canal therapy is an alternative to tooth extraction and can save and preserve an infected tooth. Watch this video to learn about the basics of root canal treatment. Your dentist will administer an anesthetic to ensure that you remain comfortable and pain free during your root canal. If you’re in need of a root canal near Hazlet , come see our talented, experienced dentists at Glenwood Premier Dental. We’re committed to patient safety and comfort, and will do everything we can to make sure that your root canal procedure is pain free. To schedule an appointment to discuss root canal treatment or other services like oral cancer screenings, call us today at (732) 264-4477. Dental procedures can sometimes be intimidating, but understanding the process can help to alleviate your anxiety. It is always a good idea to talk to your dentist about your concerns before undergoing the procedure so that you can ask any questions that you may have. Keep reading for a few helpful tips for talking about the root canal procedure with your dentist. When you initially meet with your dentist to bring up a concern or issue that you have been dealing with, the two of you will discuss your treatment options. There are many misconceptions about root canal procedures that tend to prevail to this day, so it helps to take this opportunity to get the facts about this treatment. Your dentist will instruct you on how to prepare for the treatment in the days leading up to your root canal, and you can ask him or her any questions that you may have regarding the process itself. Between cosmetic, implant, and laser dentistry, there are typically several different treatment options for any given problem. This means that a root canal may not necessarily be your only choice in terms of treatment. Ask your dentist about alternative treatment options when you meet for your initial consultation. Different treatment options may result in different healing processes, maintenance requirements, and benefits. If your dentist strongly recommends a root canal, it is wise to heed his or her suggestion. The goal of a root canal is to clear out the infected pulp of your tooth. This will alleviate your pain and discomfort, but it is important that you take care of your restoration properly. Talk to your dentist about the maintenance requirements for your newly treated tooth after undergoing a root canal procedure. If you suspect that you might need a root canal near Hazlet, contact Glenwood Premier Dental or visit our website . Our implant dentistry practice offers a multitude of services, including veneers, teeth cleanings, and oral cancer screenings. Feel free to call us at (732) 264-4477 for more information today. 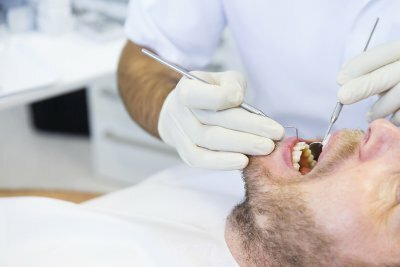 Modern dentistry makes use of an array of advanced techniques in order to provide patients with the highest quality care possible. Dentists have been honing their laser dentistry skills for 25 years, and these methods continue to improve. Read on for a patient’s guide to laser dentistry. You may be familiar with the more traditional dental tools, but laser dentistry works a little bit differently. The laser your dentist uses concentrates a beam of energy in order to create a reaction in your oral tissues. Although this seems relatively high-tech, laser dentistry has actually been used since 1990 . Your dentist may use lasers for a range of purposes, including managing tissue, treating infections, and exposing wisdom teeth. Your dentist can even use a laser as a catalyst for tooth whitening treatments. Laser dentistry comes with a number of important benefits. 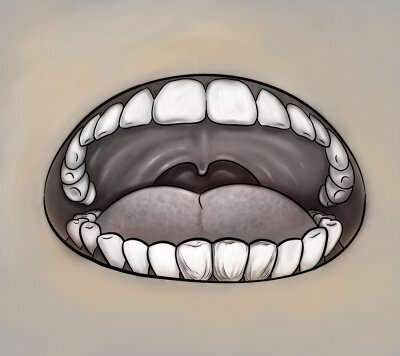 This type of dental practice allows dentists to complete certain procedures without relying on more invasive techniques and pieces of equipment. Laser dentistry may even eliminate the need for drills and anesthesia during certain treatments. Patients who undergo laser dentistry tend to experience shorter healing times and cleaner gum tissue. 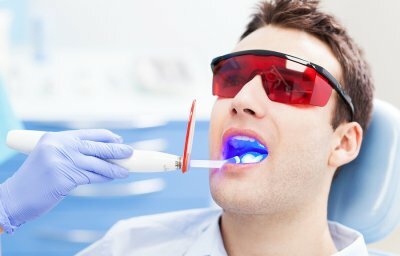 A dentist who uses laser dentistry will also enjoy a greater level of control and precision when performing dental treatments, and he or she may be better able to limit bleeding. While laser dentistry is considered a safe and effective form of dental treatment, it is not necessarily the most practical method in every circumstance. Be sure that your dentist is properly trained in the use of lasers, and always wear eye protection when undergoing treatments involving lasers. The only way to know for sure if laser dentistry is an appropriate option for you is to talk to your dentist. For more information about laser dentistry, feel free to call Glenwood Premier Dental at (732) 264-4477. We specialize in restorative care and implant dentistry in addition to laser dentistry near Hazlet. You can find out more about our services by visiting our website or stopping in to see us today.